In a world rushing to customize everything, one Texas company is doing the opposite: it’s standardizing its products in order to offer customers a cheap solution to their power security worries. Texas Microgrids, the child of local firm Enchanted Rock and Balfour Beatty Infrastructure Partners, which came into being last month, will install over 50 MW gas-fueled microgrids at 45 locations in greater Houston. And that’s just the start. Microgrids are nothing new, but the latest Microgrids will be different, the company says. Instead of the combined heat and power (CHP) generators that currently dominate the Texas microgrid landscape, Texas Microgrids will be installing simple, reciprocating engine, gas-powered generators. The reason: CHP systems are “always custom,” says ERock co-founder, nuclear engineer Thomas McAndrew. According to him and his co-founder, aerospace engineer Clark Thompson, the clients they are targeting with their new microgrids are not looking for custom-made solutions. They are looking for affordable reliability, hence the drive towards standardization. This is an amazingly simple offering, guaranteeing to keep the lights on in case of a central grid outage. Still, ERock doesn’t entirely shun customization. On the contrary, it’s ready to add solar and storage, as well as any other relevant service to the microgrid should a client decide they want it. 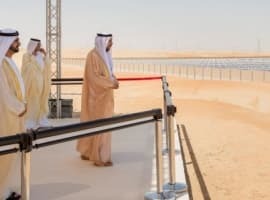 The MaaS idea will be turned into a reality in less than a year, after relevant permits and interconnections are obtained, the co-founders told Greentech Media. The installation itself only requires as little as a fortnight. ERock is very optimistic for the future. It has an extensive pipeline and is eyeing expansion beyond the state line. 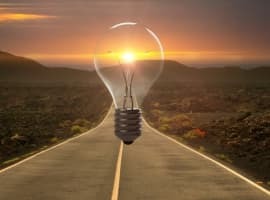 Unlike its competitors, which typically offer solar plus storage plus backup “behind the meter” packages in the microgrid segment, McAndrew and Thompson say that theirs are real microgrids that can operate either in synchronization with the central grid or on their own when the need arises. 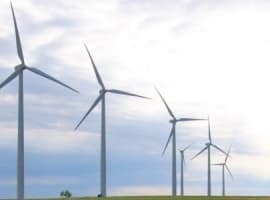 Throw in the much smaller cost for installation and connection, and the future starts indeed looking quite rosy for Texas Microgrids.